Famed developer Brad Lamb’s corporation Lamb Development Group and affiliated Hamilton-based Movengo Corporation tried to purchase the Hamilton City Centre in early 2017 for $55-million, a court ruling in a legal dispute reveals. Lamb and Movengo created a corporation for the sale, 2587508 Ontario Inc., and reached an agreement of intent to purchase the City Centre at 77 James Street North from the owner Hamilton City Centre Holdings (HCCH). HCCH purchased the City Centre in 2014, in a deal which included two other properties and was valued at $90-million. The City Centre had sold in 2011 for $25-million. Its present assessed value is $23-million. Earlier this year, Partners REIT – which provided financial backing and was a guarantor of a $40-million second mortgage – announced that City Centre was refinanced and “that the mortgage loan on which it had provided the guarantee has now been repaid in full”. The Court ruling details that “on March 13, 2017, HCCH entered into an agreement of purchase and sale to sell the Property to Movengo Corp., in trust, for a corporation to be incorporated. The purchase price was $55 million. Movengo Corp. paid a deposit of $250,000”. The new corporation was incorporated as 2587508 Ontario Inc. The court ruling describes numerous amendments to the agreement in May and June. During July and August, the numbered company tried to complete a purchase. HCCH decided to not sell as the two sides could not reach an agreement on the capitalization rate. 2587508 Ontario Inc. commenced legal action on September 14, and bought a ex parte (without notice to the other party) motion on September 19 to the court, obtaining a Certificate of Pending Litigation (CPL) against the City Centre property. 2587508 Ontario Inc. is seeking a court order forcing HCCH to sell the City Centre to them, and sought the CPL to prevent sale to any other party. It is this CPL which the Superior Court voided in its June 1 ruling. Sweeny found that 2587508 Ontario Inc. is a “shell corporation” of Movengo Corp which is affiliated with Lamb’s Lamb Development Corp..
Sweeny lifted the CPL finding that if Movengo is successful in their legal case against HCCH, monetary damages can be sought separate from obtaining the property. 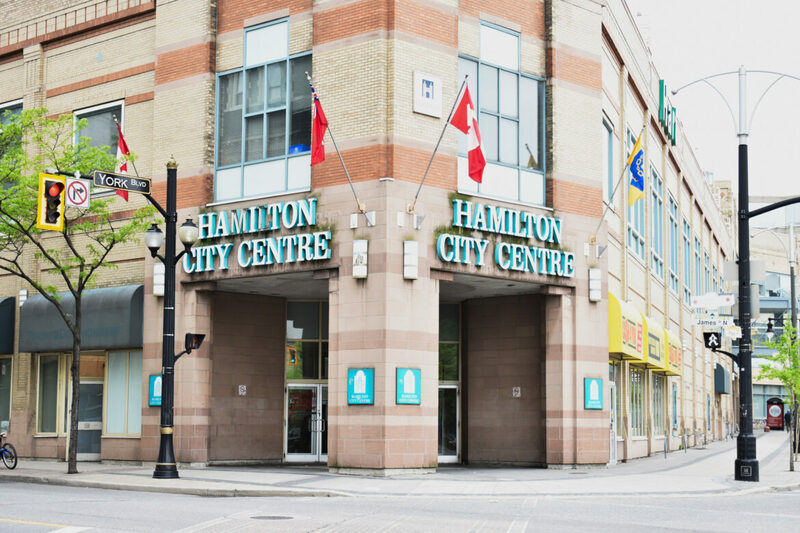 Sweeny wrote that the key argument made by Movengo/Lamb Corps for the CPL is that the City Centre is “a unique property because of its location, history in the city of Hamilton, and the potential to build upon the existing foundation”. The litigation between the parties continues with trial dates yet to be set. Neither City Centre nor Movengo responded to The Public Record’s communications requesting comment.